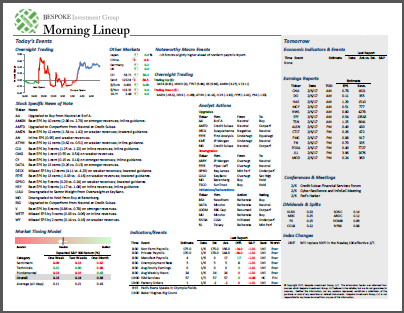 Morning Lineup – Here Comes Earnings Season! As noted in our B.I.G. 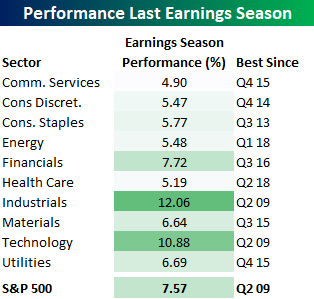 Tips report yesterday, while it starts off slowly, earnings season kicks off this week as the big banks start to report earnings on Friday and early next week. In this report, we provide a breakdown of how analyst sentiment is stacking up heading into the reporting period and how that bodes for equities. If you haven’t seen it yet, make sure you do!